Cincopa is a powerful multimedia platform that takes care of all your content, and helps you to build any custom experience for your audience. Impress your clients with branded image galleries, photo slideshows, podcasts, audio and video portals. Go beyond the standard media players – pick any custom design out of more than 100 ready-to-use templates available. Cincopa allows you to integrate your multimedia directly into the website's design in multiple ways. You can customize player controls, adjust colors, display your content in the full-screen mode, show it always on top or in the background, combine different media types, and much more. Build your business with Cincopa's powerful client management tools. Handle all media assets and collections from a single dashboard, view the clients list and invite new users to be managed under your account. Our premium multimedia hosting plans support publishing on unlimited domains, that means being able to add videos, audios and images to as many websites as you want. By the way, it's very easy to embed media from Cincopa to a website: simply copy the generated code and paste it where you want your media to appear! With Cincopa, multimedia content becomes a powerful marketing tool. To improve your sites' search rankings and increase organic traffic, use built-in SEO-friendly fields. There are even more ways to boost web presence by enabling social media buttons and adding custom links directly into media. Another awesome feature allows collecting emails from audio/video playlists thus converting website visitors into business leads. To deliver your content fast and in the best quality across the globe, Cincopa uses a reliable CDN system. We provide flawless multimedia streaming, high level of content security and perfect performance for both desktop and mobile devices. Having your media hosted by Cincopa guarantees hassle-free delivery to users and ensures that your content will never be broken or lost. Cincopa video can provide you with high-quality email leads. Lead Generator can be used with your video helping you to receive personal information from viewers, including email address, first and last name. It displays a pop-up email form right in the video player and saves all submitted data to a selected email list with your email marketing provider, for example, MailChimp or Constant Contact. Customize Email Collector according to your goals: set email form timing, add text messages, gate your content or let viewers skip the form. Don’t forget to check Video Analytics for detailed insights about your leads. Cincopa provides everything you need to build a truly rich media experience for your clients. Online videos and audios can be played on a big TV screen with Cincopa’s online media player just like on a website. With Chromecast feature supported by Cincopa, it’s possible to use a mobile phone, tablet, or laptop as a media entertainment center to stream online video and audio inastantly. For the best client experience, your email message should engage users at first sight. Embedding effective videos, audios, slideshows, and photo galleries can dramatically increase email conversions and add value to your agency’s email marketing arsenal. With Cincopa, you can easily include all sorts of multimedia content into your email message. 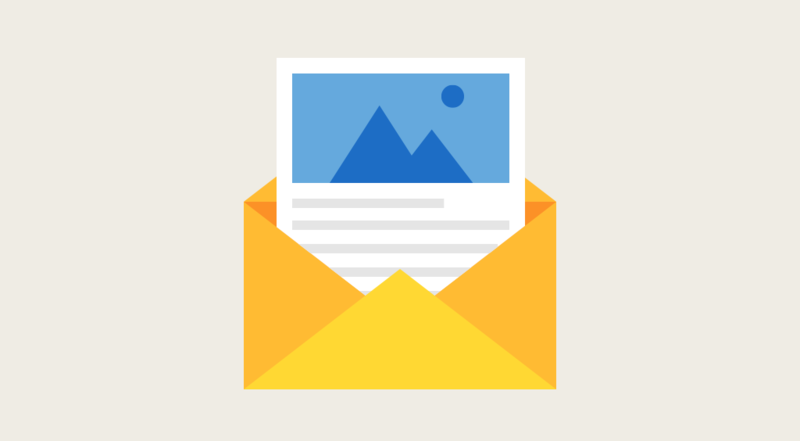 Embedded media will show up in a form of a thumbnail providing email recipients with a quick snapshot of the gallery’s content. It will look great in your email template either created with HTML or customized on the basis of email marketing platforms like MailChimp, Constant Contact, GetResponse, etc. Learn more about how your email audience interacts with embedded videos on the Video Analytics page.